We realize that out of this shift and change comes tremendous chaos. It is from the caldron of chaos that ascension is made possible. When there is intense disturbance in the collective consciousness it can trigger a new level of awakening or a new level of denial. Remember, your reality is never set or solid, it is fluid, it is vibration and frequency. Your reality is created by the vibrations of energy, thoughts and projections of the collective. You, more than most, understand this principle. You are witnessing as well as experiencing a frequency shift. Consider for a moment that this shift might be the result of an increase in the vibrational frequency of your planet. The resonance of the Earth's magnetic frequency has been the same for thousands of years. This natural frequency of pulsation has been understood by your sages and measured by your scientists to hover about 7.8 cycles per second. This resonance, this oscillation frequency has been thought of as the "heartbeat of the earth" and it is a resonance to which all humans attune in order to stay balanced. It influences human consciousness. All living things are surrounded by this natural frequency. Over your decades, there has been an awareness and understanding that this resonance of the earth shifts slightly and corresponds to seasonal changes, solar storms and activities, movements of the planets as well as the possible effects of human emotions and behaviors. It is important for you to understand that the magnetic field of your earth influences your brain activity, as well as your cardiovascular and nervous systems. So now you can begin to understand that shifts and changes in these fields can and do affect your health and behavior. When there is disturbance in this magnetic field environment, it can cause sleep issues, mental confusion, anxiety, even a lack of personal energy or feeling overwhelmed. These fluctuating invisible magnetic forces are interfacing with every cell in your body. Your pineal, brain and nervous system are very sensitive to electromagnetic energy. Your pineal will synchronize with the solar activities and any geomagnetic fluctuations offered by your earth, sun, moon and interplanetary influences. Realize that all humans are responding to these invisible geomagnetic energy fields. Studies are being done concerning how disturbances in the earth's magnetic field might influence violence, accidents, heart attacks, strokes, suicides and even wars. These studies have shown that during certain solar cycles there has been an increase in social unrest. Animals, birds and water beings use the earth's magnetic field to navigate during migration. There is a deep connection of all living things with the earth's electromagnetic fields. You are being bathed in this energy at all times and you are responding at all times. There are those of you who are aware and sensitive to this energy field and force, this background frequency, and there are others who are totally unconscious of this and its effect on their circuits or biological systems. What has been occurring is an increase in this vibrational frequency generated by your earth. This anomaly has come to the attention of those who measure this electromagnetic field. They have seen an increase from the usual frequency of 7.8 cycles per second to levels of 15-25 cycles per second. There have also been spikes of over 30 cycles per second. Consider the possibility that these intensifying energies and increases in the cycles per second at which your earth is vibrating are being generated from the Galactic Centre. 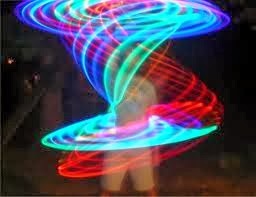 Consider that this very fast speed and resonance from the cosmos is stirring up energy within each and every human. Be aware that these various frequency ranges, the cycles per second that the earth is offering, can and will trigger and activate different levels of consciousness depending on the individuals, including the collective shadow, the aspects within each person that have been repressed, suppressed and denied. Often there will be increased violence, social discontent, terrorist attacks and intensifying acts of crime. Those who are unconscious or unwilling to heal those shadow aspects within, respond to this increase in the electromagnetic field vibration by acting out these repressed emotions. You are witnessing this each day as more of the collective shadow is being pushed to the light for healing and transformation. The rising of your earth's electromagnetic frequency is also creating another phenomenal event within the collective consciousness. 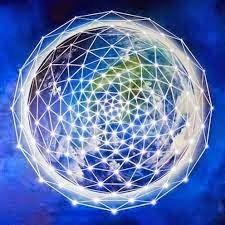 There is a shift and a great awakening of consciousness occurring around your world. There is an awareness that something is happening. People are feeling it; there is an excitement stirring within. Individuals are feeling empowered and are beginning to place their focus on what is possible out of the chaos that is being witnessed. These emerging resonances are stirring brainwave activities, so individuals are waking up. There is an acceleration of brain wave to alpha and theta states, which allows and invites the awareness and connection to the divine self. You are personally experiencing your own enlightenment. You are feeling more and more connected to the global community in a way that is not really describable in words. It is a realization that you are connecting to the global consciousness, the global information field. In fact you and all beings are contributing to this global field. Your thoughts and emotions interact with and actually inform and encode information onto this geomagnetic field. Imagine that your coherent and/or misqualified emotions and energy become a part of the magnetic field. This field surrounding your earth then acts as the carrier wave for all that is being offered by humanity. The feedback is that those energies manifest as events that you witness occurring daily. Be responsible and aware of the power of your coherent thoughts, emotions and energy that does imprint this field and creates the changes you desire. Own this personal power. 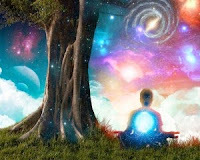 There is an interconnection among all living things and this connectedness is responding to the increased frequencies of the electromagnetic field. Many who are sensitive are feeling the intense emotions being generated by others. When this occurs, it is your opportunity to transform these collective misqualified emotions. Remember you are an alchemist. 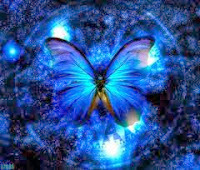 Those who are sensitive, aware and open are realizing that they are becoming even more intuitive and expanded. Many individuals are receiving downloads of information, insights and paranormal experiences. Many are opening up to their connection and even partnership with other divine non-physical beings. There is a revolution of consciousness taking place in the collective field. Each person will respond to this shift in consciousness in their own unique manner. However, we would like to acknowledge those who are reading our words. You are certainly the ones who are anchoring this light consciousness into your earth's field and we are grateful for your awareness and your willingness. You have the ability to offer this service to transform misqualified energy by your focused intention, your directed sounds and your partnership with divine beings of light. 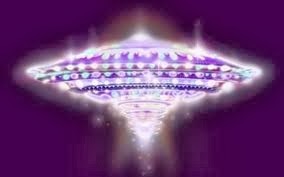 The increase in the frequency of your planet's electromagnetic resonance is preparing humanity for another level of understanding and an awakening to their multidimensional abilities while in physical form. All is connected, the ripple of consciousness touches each and every living thing. Stay the course, remember to be anchored to your earth, fully embodied and always connected to divine source.